China Orders People To Visit Their Aged Parents...Or Be Sued - kaycee Weezy! Visit your parents. That's an order! 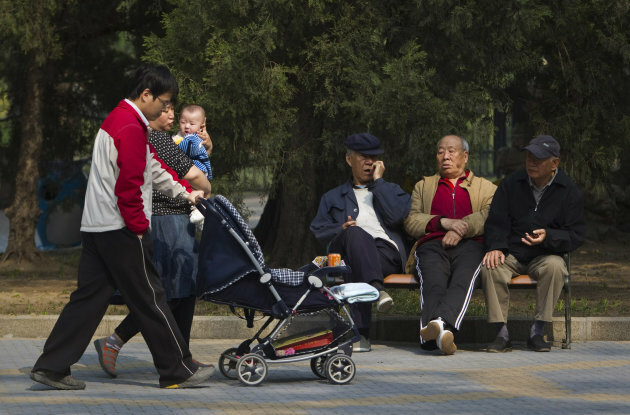 So says China, whose national legislature on Friday amended its law on the elderly to require that adult children visit their aged parents "often" — or risk being sued by them. The expansion of China's elderly population is being fueled both by an increase in life expectancy — from 41 to 73 over five decades — and by family planning policies that limit most families to a single child. Rapid aging poses serious threats to the country's social and economic stability, as the burden of supporting the growing number of elderly passes to a proportionately shrinking working population and the social safety net remains weak.